Good evening everyone. It is 5 AM in Libya right now. Day 15 in the battle for the future of that country. 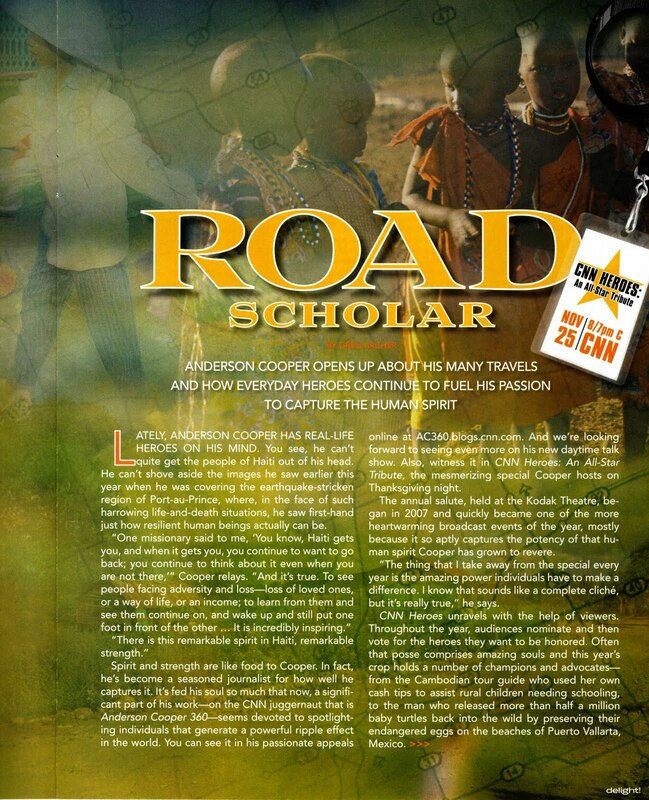 A battle that will have ripple effects on us all. Muammar Gadhafi faced reporters today and spun a story of what he says is happening in Libya. It was a story. He says the people love him, his son says everything is peaceful. Tonight you will hear their statements and then you will hear the facts of what is happening. You will hear facts and you will see evidence for yourselves. You will learn the truth from our reporters on the ground and the Libyan people themselves. Trapped in their homes, in many cases, but speaking out....no longer letting fear rule their lives. EYEWITNESS IN LIBYA SPEAKS OUT, Woman talks about living in fear: Anderson Cooper speaks with a resident of Mişrātah, Libya. Colvin and Cooper were joined by Nic Robertson (in Libya) and Fouad Ajami to further discuss the disconnect between the Gadhafi's and Libya. NEW PRESSURE PUT ON GADHAFI, Sec. Clinton, U.S. Ambassador to the U.N. blast leader: Jill Dougherty talks of the position the U.S. has taken and what may transpire in the future. 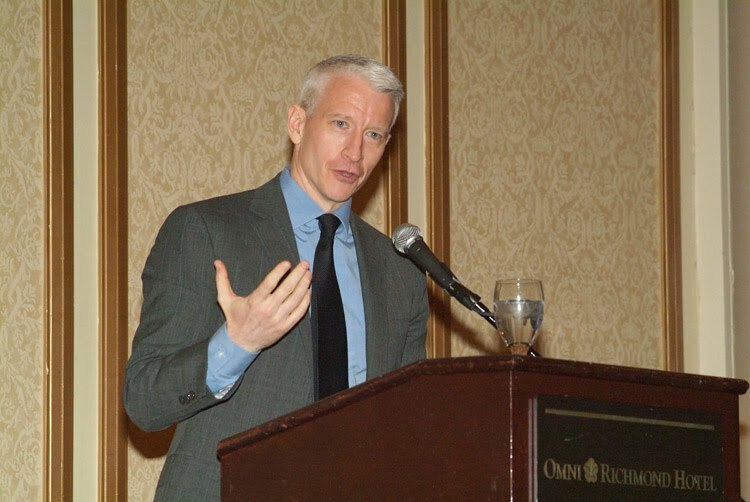 Mediaite is reporting that AC360's ratings have soared since they started covering International news. 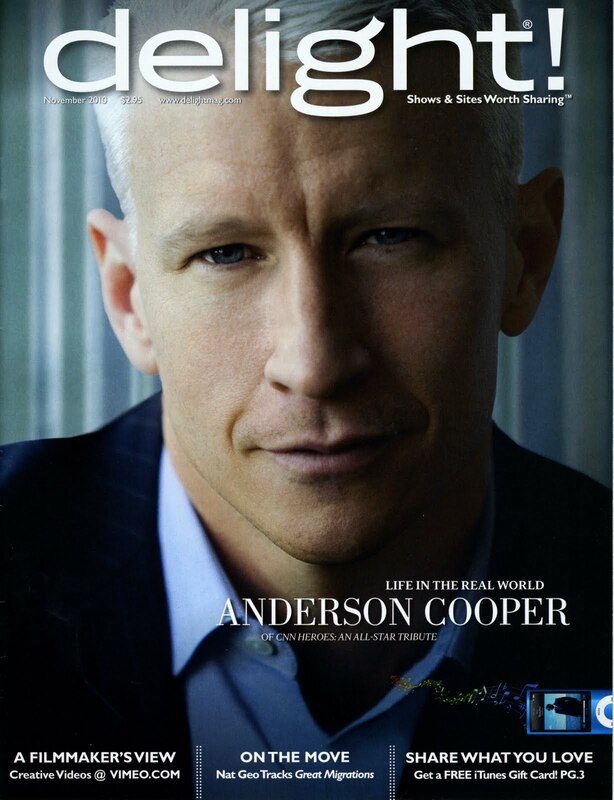 And TVNewswer had an interview with Jim Murphy, the newly signed producer of 'Anderson'. In the middle of a week of very serious news, Anderson and the AC360 Team ended the program on Wednesday night with The RidicuList. 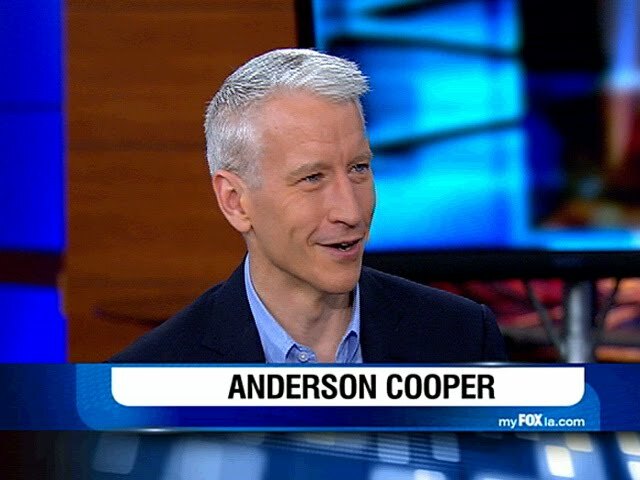 I dug way back into the ATA achieves to find this video from 2002 when Anderson was anchoring News Night and come up with this "Segment 7" where he first discusses Ozzy Osbourne's reality TV program and then pitches one of his own - "Hangin' With Mr. Cooper" ~ Here's your blast from the past or should I say vintage Anderson Cooper snark? Ellen DeGeneres and Anderson Cooper attending a Pre-Oscar party at a private residence on Coldwater Canyon Drive in Beverly Hills, CA. February 26, 2011. Journalist Anderson Cooper arrives at the Vanity Fair Oscar party hosted by Graydon Carter held at Sunset Tower on February 27, 2011 in West Hollywood, California. Journalist Anderson Cooper and Elaine Irwin attend the 2011 Vanity Fair Oscar Party Hosted by Graydon Carter at the Sunset Tower Hotel on February 27, 2011 in West Hollywood, California. Journalist Anderson Cooper and model Elaine Irwin attend the 2011 Vanity Fair Oscar Party Hosted by Graydon Carter at the Sunset Tower Hotel on February 27, 2011 in West Hollywood, California. Journalist Anderson Cooper, designer Tom Ford and model Elaine Irwin attend the 2011 Vanity Fair Oscar Party Hosted by Graydon Carter at the Sunset Tower Hotel on February 27, 2011 in West Hollywood, California. Please check back as more photos may be added. Lucky for us that the wonderful Wonz had a magazine in her stash that we haven't featured yet for Sunday Reading. 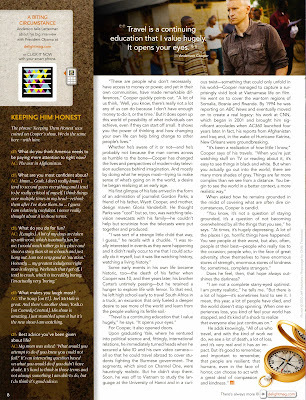 It's Delight Magazine from November 2010. "Shame Has Quit The Arab World"
Anderson Cooper opened AC360 with "Good night everyone. Tonight, in Tripoli, families are once again hiding in their homes, as gunman rule the streets and the dictator, Momar Gadhafi and his sons continue to oversee the killing of unarmed protesters and continue the lie about what they are doing right now. Gadhafi, today, telling Libyans they should be signing and dancing in the streets. While I want to show you what his people are really doing in the streets and what's being done to them in those streets as protests swept Tripoli today. The Gadhafi regime which claims it would never kill it's own people, is killing it's own people. Again, more died today, more will likely die tomorrow." Anderson stopped by Good Day LA today to chat about Libya, Egypt, RHOBH, Charlie Sheen and his upcoming daytime show Anderson. 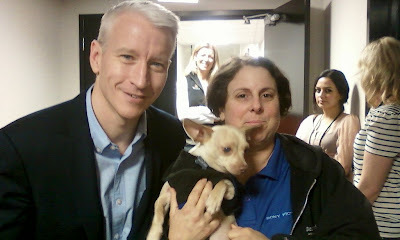 Anderson Cooper met Anderson Cooper this morning at Good Day LA! Unfortunately, tiny AC got bumped off the show again. So tune in next Fri morning to see him. Anderson Cooper opened AC360, "Good evening everyone. In a moment we are going to transport you from your home, or wherever you're watching right now, into Libya; into the terrified city of Tripoli, into the home of a woman who says she isn't sure how much longer she can hold on. She is desperate and she is desperate that you hear her plea tonight. The call that she made to us, at great risk to her own life, this call is a cry in the night. She hasn't been outside in the streets in five days. Merely stepping outside her front door she says can be fatal. Her ruler, the dictator of Libya, has hired mercenaries who right now are still on the streets, free to kill; and too much blood has already been spilt. The front line in the fight for the future of Libya is just outside this woman's front door." Anderson went to break saying part 2 of his interview was coming up because,"she cuts through the clutter and I know it starts to feel the same thing day after day on a lot of these stories, but something about talking to this woman, tonight, I think just really shines a light on the reality of what so many thousands of people are living right now in Tripoli, in their homes; afraid to go outside while this man has his mercenaries and thugs in the streets." 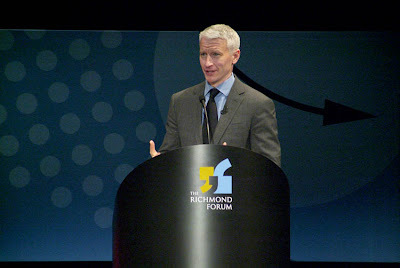 The Richmond Forum added some photos of Anderson to their Flickr photostream today.